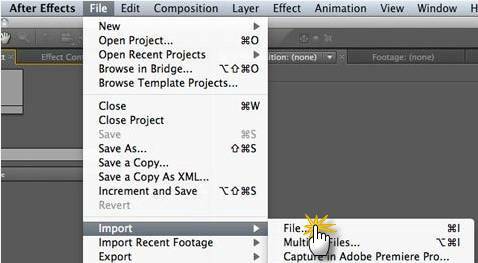 Home » How to import XDCAM MXF/IMX files into After Effects CS4/CS5/CS6? XDCAM is a series of products for digital recording using random access solid-state memory media, introduced by Sony. It has four different product lines, including the XDCAM SD (SD XDCAM is an IMX format wrapped in an MXF file), XDCAM HD, XDCAM EX and XDCAM HD422, differing in types of encoder used, frame size, container type and in recording media. XDCAM (SD) records MXF file-based media to an optical disc format. XDCAM HD extends XDCAM to include HD video. XDCAM EX adds full-resolution 1920 x 1080 or 1280 x 720 modes and ExpressCard-based recording. XDCAM HD422 doubles the chroma-resolution compared to the previous generations of high-definition video XDCAM formats. XDCAM supports 25 and 29.97 fps. XDCAM EX also supports the 720p format at 23.98, 25, 29.97, 50, and 59.94 fps. XDCAM HD422 supports the 720p format at 50 and 59.94 fps. Since XDCAM isn't the greatest thing to use in After Effects, the following guide will show you how to transcode Sony XDCAM HD MXF, IMX files into Adobe After Effects CS4/CS5/CS6 preferred format for editing. Open up Pavtube Mac Sony MXF Converter. Click “Add video” button to browse and load your source files. If you need to import an entire file folder directly, simply click “Add from folder” tab. 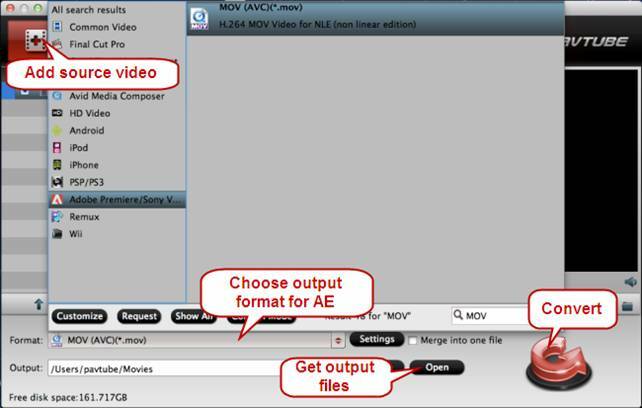 Go to “Format” menu and choose “MOV (AVC) (*.mov)” as target format from “Adobe Premiere/Sony Vegas” dialogue box. When the former two steps finished, you can press “Convert” button to start rewrapping Sony XDCAM files to MOV for AE. Once the conversion process is done, click “Open” button to get the generated MOV files for using in Adobe After Effects CS4/CS5/CS6. How to import recoded Sony XDCAM HD MXF, IMX files into After Effects? 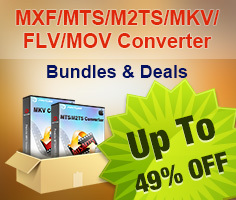 If you need to backup MXF/MTS/TiVo/WMV/MKV… files as well as Blu-ray movies and DVDs to any format you want, you can try out Pavtube iMedia Converter for Mac. It is an integrated Blu-ray (3D/2D), DVD and video conversion package developed for Macintosh.